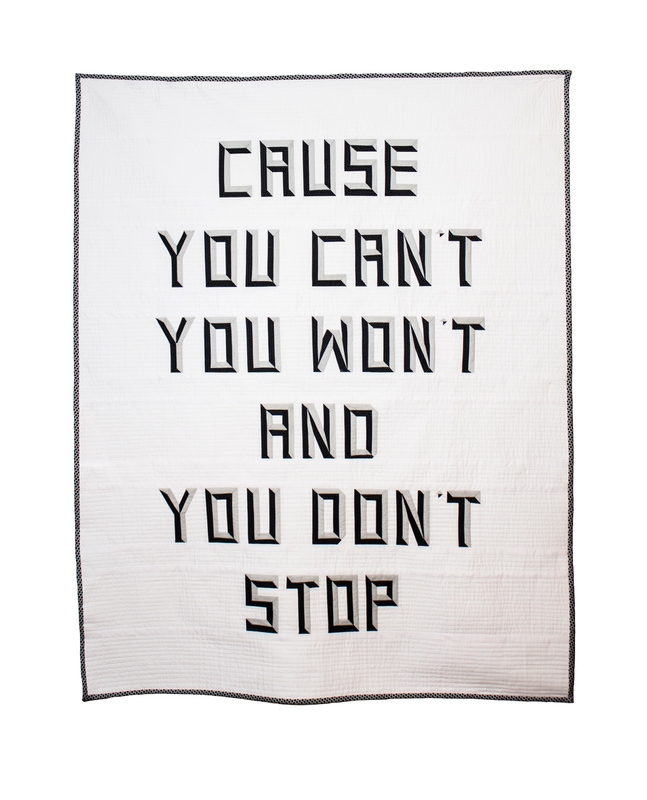 This 60" wide quilt text that quotes the Beastie Boys, from their song Sure Shot, is a great BIG note to self. Creative work can seem romantic but it's hard, gritty (hello Y seams!) and vulnerable work. After hours of work, you can put yourself out there and sometimes tumble weeds roll on by but in the end you still have to make it. You have to keep going and sometimes you have to wade through making crap to get to the good stuff. The slog... I hate the slog. That's when I put on really loud music. I know it's loud enough if my kids complain... and then I start working. You put in the hours and make the work, no matter what the results. It just has to be made. 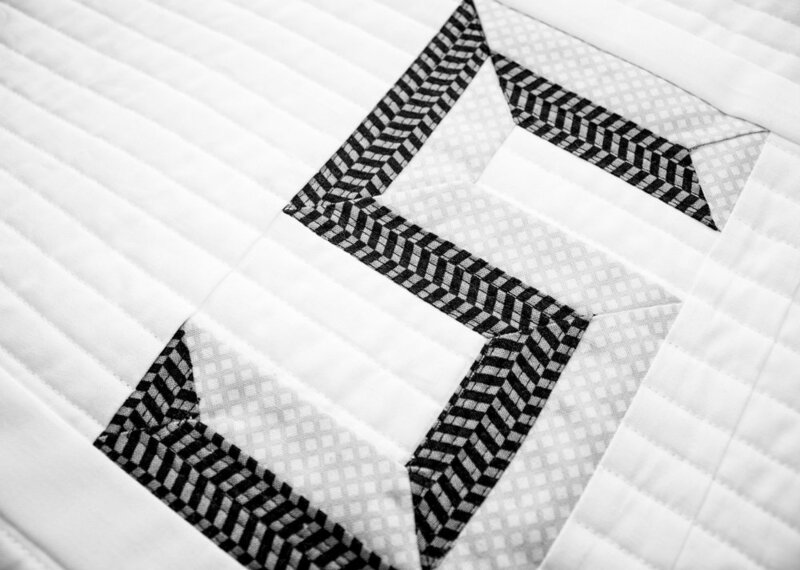 In doing so for this quilt, I finally cut into my Uppercase Volume One fabric. I was nervous but I plunged in and did it! Did I mention how brave we sometimes have to be? As for quilting this, when Craftsy was a new thing I bought Ann Peterson's class, "Quilting Big Projects on a Small Machine". Each section of text was quilted and then sewn together. Quilt as you go, I think it's called. It was a cool process but it was A LOT of hand sewing on the back of the quilt to cover up the seams... which was okay, cause, you can't, you won't and you don't stop, right? Wink, wink! See what I did there!